If you love to travel in comfort and Luxury then Bucks Travel should be your first choice. We offer Luxury and Standard Minibus Hire service with driver in Leighton Buzzard and surrounding areas. You can choose from our variety of fleet 6, 8, 12, 14, 16, 32 seater coaches. Leighton Buzzard is a town in Bedfordshire, England near the Chiltern Hills and lying between Luton and Milton Keynes. It adjoins Linslade and the name Leighton Linslade is sometimes used to refer to the combination of the two towns; parts of this article also apply to Linslade as well as Leedon. There are many places to visit in Leighton Buzzard. And other many historical places to visit in Leighton Buzzard, so book a Luxury or Standard Minibus/Coach 6, 8, 12, 14, 16, 32 seater for visit of these famous place. All our vehicles filled with all the safety features. Our drivers will take care of your every need and will make sure you enjoy your trip. Executive Taxis, Luxury and Standard Minibus Hire with driver 8, 12, 16, 19 & 22 Seater covering Leighton Buzzard & surrounding area. If you love to travel in comfort and Luxury then Bucks Travel should be your first choice. If you are looking for an Executive Taxis or 8-22 seater Minibus Hire in Leighton Buzzard, with a driver, you are in the right place! Minibus Hire in Leighton Buzzard is the ideal way for you to transport smaller groups of guests to any destination. We offer Executive taxi Service, Luxury and Standard Minibus/Coach Hire service with driver in Leighton Buzzard and surrounding areas. You can choose from our variety of fleet 8, 12, 16, 19 & 22 seater Minibuses. We operates throughout Buckinghamshire, Oxfordshire, Bedfordshire and Hertfordshire areas. 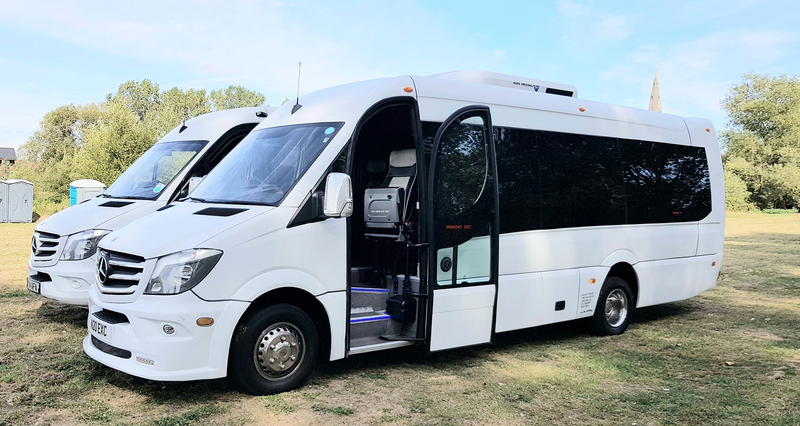 Our minibuses are ideal for large groups or parties who can all travel together rather than travelling in separate vehicles. Luxury & standard Minibus/Coach Hire 8 to 22 Seates. And other many historical places to visit in Leighton Buzzard, so book a Luxury or Standard Minibus/Coach 6, 8, 12, 16, 20 & 33 seater for visit of these famous place.